Turning the calendar page from March to April this morning, one of the first thoughts that came to mind (after the “Uh-Oh, it’s April’s Fools Day, I better keep a sharp eye, watch my back, and stay on my toes!”) was that Ruritan Awareness Month is just around the corner. Thoughts turned to preparing to celebrate, and promote, Ruritan Awareness Month in May. Celebrate, Thank, And Appreciate Your Members! One way to promote Ruritan Awareness within the Rapidan District has already been set into motion; membership longevity pins were ordered from Ruritan National Supply for fourteen club members in the Rapidan District that have fifty or more years of membership! 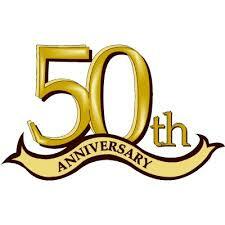 Ruritan Awareness Month would be a great time for Golden Jubilee celebrations for these loyal, long-time members! Club Presidents and Secretaries have been requested to consider presenting these pins as tokens of appreciation for loyal membership during their May meetings, as part of their Ruritan Awareness Month celebrations. 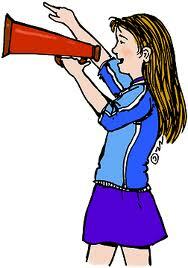 Suggestions have been made to take photographs of the presentations, and submit press releases to various media. 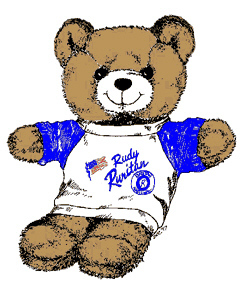 Examples include local newspapers, National Ruritan magazine, local news websites, (for example Patch.com,) all forms of Social Media possible, and their local Ruritan websites, (including this one.) This will help to promote Ruritan Awareness. 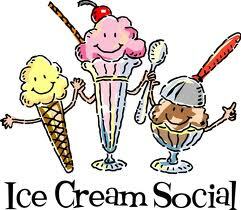 Side note: An additional thought to consider, as part of the May meeting celebration, how about throwing an ice cream social, inviting friends, neighbors, relatives? I can’t think of any better way to celebrate Ruritan Awareness Month than holding an ice cream social and honoring our long-time members! Another idea to promote Ruritan Awareness is for Ruritan clubs to reach out to local restaurants, such as Chik-Fil-A and Pizza Hut, and arrange for a fund-raising “Ruritan Awareness Spirit Night” to be held in May. These fun, family-friendly restaurants are available, and willing, to hold fund-raising “Spirit Nights” for organizations such as ours. All of the clubs in a close geographic location could join together and share the same “Ruritan Awareness Spirit Night” at that restaurant. With just a little collaboration between clubs, the clubs could jointly promote the event in the local newspapers, free PSAs on the television and radio stations (and their associated websites,) Social Media, Club and District websites, etc, and encourage all of the Ruritan members in the area to attend the “Ruritan Awareness Spirit Night.” This would promote Ruritan Awareness, raise money, (divided between participating clubs) and provide some great fellowship opportunities! 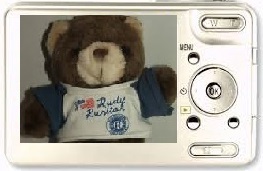 Make a YouTube Video From Your Pictures! Show Your Ruritan Pride And Spruce Things Up! What better way is there to celebrate Ruritan Awareness Month than with a display of Ruritan Pride? 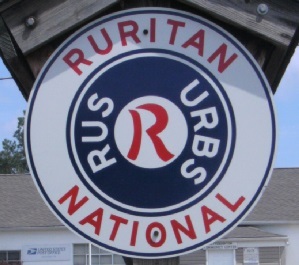 Spring is a great time for each club to go outside and look at the Ruritan sign that hangs outside of their meeting location. Is it missing? (Did someone steal it and is trying to sell the used Ruritan sign on Ebay for $300?) Is the sign old, faded, cracked, and rusted? Side note: Now that spring has officially arrived, this is a good time to inspect the overall condition of the outside surfaces of the buildings, and other club signage. Is paint peeling, or does the building need to be power washed? Will a potential member really be interested in joining a club that does not have the pride to keep the meeting location in good condition? Consider how important first impressions are. Try to make the building and signage look their best, and put out a fresh welcome mat while you’re at it! These are just a few ideas that have come to my mind. Please feel free to leave a comment (at the bottom of this post you can click on the “Comments” link to leave a comment) to share YOUR ideas about how to promote Ruritan during Ruritan Awareness Month!